Play Backgammon Online. Play FREE or Win CASH! Backgammon is a 2-player game of skill where each player initially has 15 checkers on a board consisting of 24 spaces or points. The checkers are moved according to the rolls of the two dice. Each player has to to bring his own checkers in the home area and bear them off before his opponent, hitting and blocking the opponent's checkers along the way. 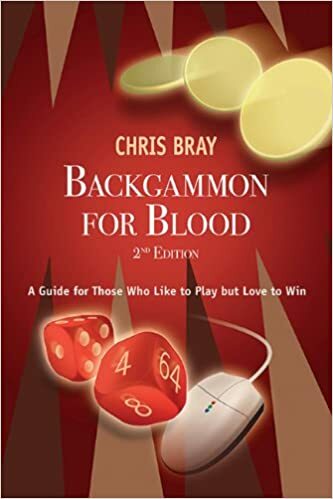 Chris Bray is a well-known name in the backgammon world. He writes a backgammon column for a newspaper and other backgammon. This book covers a lot of ground from basic backgammon strategy to playing backgammon online. 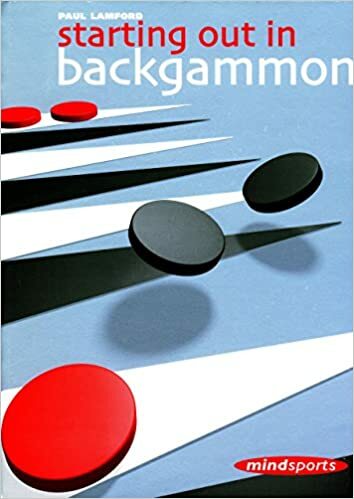 This is an enjoyable book to read is it offers information on a variety of backgammon topics. He also adds humorous anecdotes throughout the book making it more enjoyable to read. Backgammon has been around for over five thousand years. Although the moves rely on the fall of the dice and there is some element of luck, backgammon is predominantly a game of skill. In the long run, the better backgammon player will always win. Once in a blue moon, though, even a novice may win an odd game against a world champion. In this introduction to backgammon, ex-British champion Paul Lamford teaches backgammon beginners the essentials of playing the game.